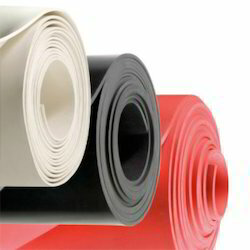 We are a leading Manufacturer of industrial rubber product from Delhi, India. Thickness 2 mm , 3 mm etc. Being a client-centric organization, we are engaged in offering a distinct collection of Industrial Rubber Product. Our skilled professionals manufacture this product using well-tested raw-material and latest technology. In addition to this, our offered product is scrupulously tested by our quality controllers against various parameters in order to deliver a flaw-free range at clients end. Moreover, the offered product is extensively used in industrial fitting applications.